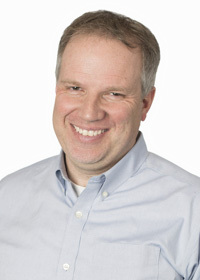 Paul Townend serves as Chief Operating Officer/Chief Technical Officer and Co-Owner of Freya Systems and oversees the organization’s ongoing operations and procedures. He provides leadership for the continued development of an innovative, robust, secure development environment and defines the technical vision of Freya. He enjoys the hands-on technical challenge of software development and learning new languages, which supports the company culture of continual learning. Paul is known for his ability to address a prospect’s needs in a language they can understand. He loves long walks with his wife, daughters and their crazy dog.